The United Nations: Is Language Just Part of the Plumbing? Since the first General Assembly Resolution 2 (I) in 1946, the United Nations (UN) has championed multilingualism and cultural diversity through the promotion and support of six official languages and a varied number of working languages for its work within its Headquarters in New York, its various agencies and in its outreach and fieldwork. However despite this de jure set up the de facto reality has seen a continued imbalance in the support given to these languages and in the linguistic practices of its membership, who have overwhelmingly favoured English. Attempts have been made at Headquarters to redress this imbalance through rigorous inspections of the status of multilingual implementation across the system and via internal processes of review and reform across its organisations; the most recent precipitated by an inspection in 2011. The UN has been vociferous in its continued support of multilingual provision citing its commitment to cultural and linguistic diversity. However increasing financial and administrative burdens, global challenges and realities have led to the emergence of regulations, recommendations and practices that run counter to this ideal. Moreover some argue that its language policy is somewhat ‘outdated’ and discriminatory given that a number of official languages spoken by Member States who joined subsequent to the initial policy formation fail to be recognised, forcing diplomats into negotiating positions in which they may not have the linguistic ‘upper hand’. In a forthcoming publication (McEntee-Atalianis, in print) I detail the contemporary concerns of the UN with respect to their language policy and provision and relay findings from recent ethnographic and desk work carried out within the organisation. The current system needs to be revised in order to foster a variety of language regimes across the ecology of the organisation. I presented these recommendations, with a specific focus on the role of member ‘agency’ in language policy formation for international organisations, at the recent ‘Symposium on Language and Exclusion’ hosted by the ‘Study Group on Language and the UN’ in New York last week, along with a number of other contributions from international scholars and UN language personnel who explored the role of language in the various activities of the UN (e.g. in international peacekeeping). Contributors to the symposium discussed whether language has indeed just become ‘part of the plumbing’ within the organisation – a taken-for-granted resource used mechanistically – without regard for its power to include or exclude stakeholders, members and individuals in the field. The overwhelming conclusion was that whilst the organisation has made some strides since its last inspection report (as detailed in A/69/282), it still has a long way to go to reform its current policy and practices to ensure it meets its goal of linguistic equity. Like many organisations however the UN is difficult to penetrate. It has an established ‘Outreach’ programme and has Memoranda of Understanding with a number of academic institutions (in Africa, Asia, Europe and the Americas) but these MoUs are predominantly established to train language personnel in order to subsequently service the organisation in its official and working languages. Recommendations were made for the UN to extend its mandate in order to work with academics to support internal and external operations and nurture linguistic regimes suitable for contemporary international/transnational demands. It is time to extend the plumbing metaphor, to envisage and prioritise language as THE vital resource fundamental to the functioning of the system, not just a necessary installation. McEntee-Atalianis, L.J. (in print) ‘Multilingualism and the Unitied Nations: Diplomatic Baggage or Passport to Success?’ In Ulrike Jessner & Claire Kramsch (Eds.) Multilingualism: The Challenges. Trends in Applied Linguistics. Berlin: Mouton de Gruyter. This post was contributed by Professor Jean-Marc Dewaele from Birkbeck’s Department of Applied Linguistics and Communications. In an increasingly multilingual world, more and more people are exposed to foreign accents, and if we use foreign languages ourselves, the chances are that we have our very own foreign accent. Does a foreign accent matter? Yes, says Moyer (2013) because it is so salient: “it is the means by which we make ourselves understood, and the yardstick by which others judge us, whether we like it or not”. A foreign accent can have unexpected social consequences. Indeed, those with a strong foreign accent are often judged as less competent, less educated, less intelligent, and less trustworthy (Fuertes et al, 2011). In other words, a foreign accent can be a heavy burden. Veronica Glab (2014), a Canadian-born Pole currently living in Madrid, describes how her “Polish and American accents came up like bile” when speaking Spanish, and how it made her feel like an outsider, causing a sense of failure. It is really hard to get rid of a foreign accent when the foreign language learning started later in life as Glab can testify. Only a small minority of late learners manage to speak a foreign language with a native-like accent. They are typically people with good auditory working memory, i.e. people who can keep sounds in their short term memory for a longer time. Other psycho-cognitive predictors are phonetic coding ability, an ability to sing and a high level of empathy (Hu et al, 2012). Personality has also been mentioned by multilinguals as having an effect on their attitudes towards foreign accents. Glab wonders whether her foreign accent might be linked to her timidness and self-consciousness. Having a slight French-Dutch accent in English, I was never too bothered by it as English speakers usually like French accents, which they tend to find “cute”. My accent became a liability only once, in 2003, at the time of the second Gulf war. Having been stopped for speeding in Independence, California, by a patriotic police officer, who told me the helicopter had followed me for half an hour through the desert, and caught me going over the 60 miles per hour limit . Did I have an explanation for that? My answer, but probably even more my French accent, did not please the officer. Didn’t I realise, he asked, that the French were not welcome in the US? (It was the time of the “Liberty fries” – because the Americans weren’t allowed to use the F-word anymore). I hastened to point out that I was Belgian, and that Belgium had not voted against the US in the UN. Little did it matter. My infraction, compounded by my French accent cost me $ 150. What this little episode shows is that attitudes toward foreign accents vary according to the accent in question, and to the general socio-historical context. It also shows that different people have different attitudes. So what exactly affects attitudes towards foreign accents? We explored this question more systematically in a study that just came out (Dewaele & McCloskey, 2014). We collected data on attitudes towards the foreign accents of other people and the own foreign accent via an online questionnaire. A total of 2035 multilinguals from around the world participated. We found that extraverted multilinguals, who were emotionally stable and tolerant of ambiguity were significantly less bothered by the foreign accents of others. Only more neurotic multilinguals were bothered by their own foreign accent. Unexpectedly, participants who knew more languages to a higher level were more negative about the foreign accent of others and their own. However, participants who grew up in an ethnically diverse environment, who had lived abroad and who were working in an ethnically diverse environment were significantly more positive about foreign accents. Women had a more negative attitude towards their own foreign accent – but not that of others. It thus seems that how much we are bothered by foreign accents falls partly outside our conscious control as it depends on personality, language learning history, current linguistic practices and sociobiographical background. Fuertes, J.N., Gottdiener, W.H., Martin, H., Gilbert, T.C., & Giles, H. (2011). A meta-analysis of the effects of speakers’ accents on interpersonal evaluations. European Journal of Social Psychology, 42, 120-133. Hu, X., Ackermann, H., Martin, J.A., Erb, M., Winkler, S., & Reiterer, S. (2012). Language aptitude for pronunciation in advanced second language (L2) learners: Behavioural predictors and neural substrates. Brain and Language doi:10.1016/j.bandl.2012.11.006. Moyer, A. (2013). Foreign Accent: The Phenomenon of Non-native Speech. Cambridge: Cambridge University Press. This post was contributed by Professor Zhù Huá, of Birkbeck’s Department of Applied Linguistics and Communication. 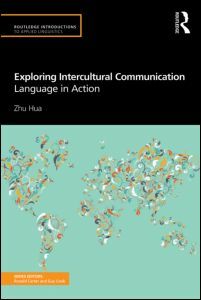 Professor Huá’s book, Exploring Intercultural Communication: Language in Action, is published by Routledge. Those days of social and cultural compartmentalization of different racial groups are long gone. We meet, interact and build relationships with ‘others’ who may look different, speak different language(s) or are guided by different values from ‘us’, either by choice or by chance in various social spaces, due to a bundle of processes including globalisation and technological advances. Intercultural Communication Studies, pioneered by the American Anthropologist, Edward Hall, in the 1950s to research the cultures of the ’enemies’ of the US at that time, are primarily interested in understanding how people from different cultural and ethnic backgrounds interact with each other, and what impact such interactions have on group relations, as well as individuals’ identities, attitudes and behaviours. Intercultural communication naturally entails the use of language and language is key to understanding culture. When you offer tea to a visitor and she says ‘no, thank you’, how do you know that she is not just being polite or ‘indirect’? After all, in some parts of the world such as East Asia, declining first before accepting someone’s offer is the preferred norm of behaviour. When a student remains ‘quiet’ and ‘passive’ in the classroom, how much can we attribute non-participation to the cultural factor and can we assume active participation means success? We all seem to know students who are quiet in the classroom but produce excellent course work! Going to the commercial side of things, does it surprise you that Häagen-Daz ice cream is not Danish, but made in Minneapolis, US? Why is ‘Frenchness’ commodified and displayed for sale through popular books ‘French women do not get fat’, ‘French women do not sleep alone’ and ‘French parents do not give in’? What led to the closure of Tesco branches in the Unites States and China? When you travel to a new place, how do you think of the general advice offered by some tourist websites and guidebooks on culturally specific etiquette, customs, practices and national character? Are they helpful or do they merely reinforce cultural stereotypes? I have come across a website offering advice on touring in China. It says ‘Chinese people are inherently shy and modest. They do not display emotion and feelings in public and find speaking bluntly unnerving.’ For a cultural insider, these comments seem very foreign. Yet, sometimes culture is blamed when it should not be. Last December, a news story appeared in many English language newspapers. It was alleged that the newly appointed Swedish ambassador to Iran, Peter Tejler, insulted the Iranian President Mahmoud Ahmadinejad by ‘exposing the soles of his shoes’ when he was sitting with his legs crossed during a formal meeting. The Atlantic Wire has gone one step further and invited an expert from the University of West Florida to explain that it was a taboo in the Muslim culture to show the sole of a shoe, because soles are ‘considered dirty, closest to the ground, closer to the devil and farther away from God’. However, a number of Iranian students and scholars I talked to following the incident found the news headline bewildering, to say the least. They attested that similar to many other cultures, it was nothing unusual to sit with legs crossed in their home culture and whether exposing soles or not was not a problem at all. With their help, I traced back to the Arabic newspaper, Asriran, where the news first appeared. It turned out that the Swedish diplomatic was frowned upon not because he exposed the sole of his shoe, but because he breached a diplomatic etiquette by sitting too comfortably and crossing legs in a formal diplomatic meeting. Intercultural communication permeates our everyday life in many different and complex ways. In the book, Exploring Intercultural Communication: Language in Action (published by Routledge, 2014), I use a ‘back to front’ structure, starting with the practical concerns of intercultural communication in five sites – language classroom, workplace, business, family and studying/travelling abroad. I then focus on the question ‘how to communicate effectively and appropriately in intercultural interactions’. In the third part, I go behind the questions of what and how and examine key theories, models and methodological considerations in the study of intercultural communication. The main message of the book, I believe, is that intercultural communication provides an analytical lens to differences we see and experience in our daily social interactions with other people who may look different from us, speak a different language, or speak the same language in a different way. This post was contributed by Professor Jean-Marc Dewaele, who presented on this topic at a conference earlier this month to celebrate the 50th anniversary of the Department of Applied Linguistics and Communication. He originally contributed this blog post in 2013, when it won that year’s Equality and Diversity Research Award from the British Association for Counselling and Psychotherapy for the paper Costa & Dewaele (2012). Emotions play a crucial part in our daily lives. We share them, jokingly or seriously, in face-to-face interactions, in texts or emails, and this is a crucial social activity, which is crucial for our interpersonal relationships and our individual well-being. It is much more difficult to communicate emotions in a foreign language (LX), because of gaps in the linguistic, pragmatic and sociocultural knowledge needed to express the full range of emotions. LX users (and I’m one myself in English) can feel frustrated at not being able to project an accurate image of self. Interestingly, a majority of multilinguals report feeling different depending on the language they are using (Dewaele & Nakano, 2013). It typically takes a couple of months before LX users can be relatively confident that their communicative intentions in expressing emotions will be correctly decoded and that their capacity to infer the emotions expressed by their interlocutors is sound. The difficulty lies in the fact that as first language (L1) users we can express our own emotions precisely, and recognise other people’s emotions unerringly. This sense of security is lost when having to communicate emotions in the LX (Dewaele, 2010). I have explained in an earlier blog that emotion words can have a very different resonance in the different languages of a multilingual: swearwords typically don’t sound as offensive in an LX and expressions of love don’t sound as strong. A study on Turkish L1-English L2 bilinguals showed that emotional phrases presented in an L1 elicited higher skin conductance responses than the translation of these phrases in a L2 (Caldwell-Harris & Ayçiçeği-Dinn, 2009), in other words hearing Turkish taboo words made participants sweat more than the equivalent words in English. It thus seems that the L1 is the language of the heart, while the LX often fulfills an intellectual function and is relatively emotion-free, creating a feeling of detachment or disembodied cognition (Pavlenko, 2013). Research has shown that immigrants’ memories that were experienced in the L1 are generally richer in terms of emotional significance when recalled in the L1. When these L1 memories are recalled in an LX, some emotional intensity is lost. I think when I talk about emotional topics I tend to code-switch to English a lot. I remember when I was seeing a psychologist in Greece for a while I kept codeswitching from Greek to English. We never really talked about this…To my mind it may have been some distancing strategy. (p. 204). Beverley contacted me to carry out a study on differences between monolingual and multilingual therapists. The paper, which was published in 2012, showed that psychotherapists agreed that learning a language made them better attuned to other languages and to multilinguals. They also believed that through working across languages they had learned to think carefully about how they used language, to check understanding and to simplify their language. Although no therapist had tried out inviting other languages in to the therapy they were interested and saw the potential of trying this. The judges from the British Association for Counselling and Psychotherapy who awarded us the Equality and Diversity Research Award (2013) particularly liked our recommendations for research, practice, training and supervision: “Firstly, it would be useful and interesting for further research to be conducted on language switching in therapy – how it is initiated and what it signifies. The second recommendation relates to practice. This research highlights the need for therapists to pay attention to the way in which the inherent self-disclosure is managed by the therapist who speaks multiple languages (…). It is also suggested that therapists consider if, when and how to initiate inviting languages they may not understand into the therapeutic space and the therapeutic implications of such an initiative. Finally, it is suggested that training of psychotherapists needs to include a component on the psychological and therapeutic functions of multi/bilingualism and underlying implications for therapy. Training and supervision for psychotherapists could also include practice for therapists to make formulations in different languages. 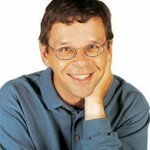 With increasing numbers of multilingual people now accessing therapeutic services and becoming therapists, it seems timely for the curricula of psychotherapy courses and therapeutic practice for all therapists – mono and multilingual – to be revised in order to take into account the changing profile and language needs of users and providers” (Costa & Dewaele, 2012: 35). The study and the award will be presented at the BACP Research Conference in Birmingham on 10-11 May 2013. Caldwell-Harris, C.L. & Ayçiçeği-Dinn, A. (2009) Emotion and lying in a non-native language. International Journal of Psychophysiology 71, 193-204. Costa, B. & Dewaele, J.-M. (2012) Psychotherapy across languages: beliefs, attitudes and practices of monolingual and multilingual therapists with their multilingual patients. Language and Psychoanalysis 1, 18-40.